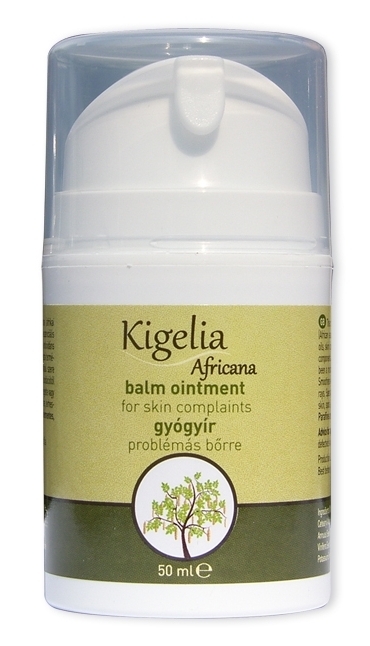 The active ingredient is an extract of Kigelia Africana product (African sausage tree) letter. The extract contains various essential oils. In South Africa a long time ago they used to treat various skin diseases and wounds. In recent decades, scientifically assess the impact around the world. The results of the studies showed that these essential oils stimulate microcirculation, no redness and heat sensation, experienced mild anesthetic effects. Demonstrated antiseptic effect against bacteria, effective even against some antibiotic-resistant strains. Successfully used against certain fungal infections. This extract is addition to the above skin conditioning, anti-inflammatory, antioxidant, creams and gels can be used both as an active ingredient. No allergic reaction is not known during the investigation. Smoothes wrinkles, protects the skin from oxidation and UV radiation. 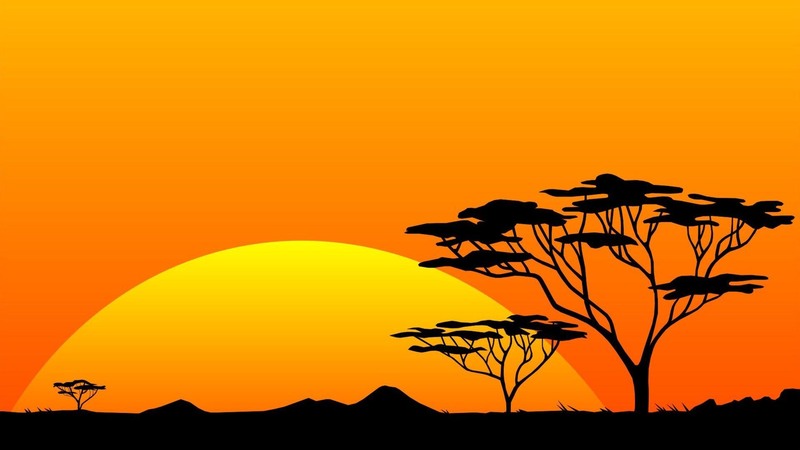 Africa used sunburned or extra dry skin, acne, mellfeszesítésre, stretch marks and scars on it. Paraffin, paraben-free, hypoallergenic. Vegetable active ingredients enhance blood flow to the scalp, strengthen induce deeper layers of the hair roots, the hair follicles to increase the absorption of oxygen activate the energy center of cells in the scalp. Frequent use stimulates hair growth, enrichment, and therefore fragile, thin hair care is suitable. 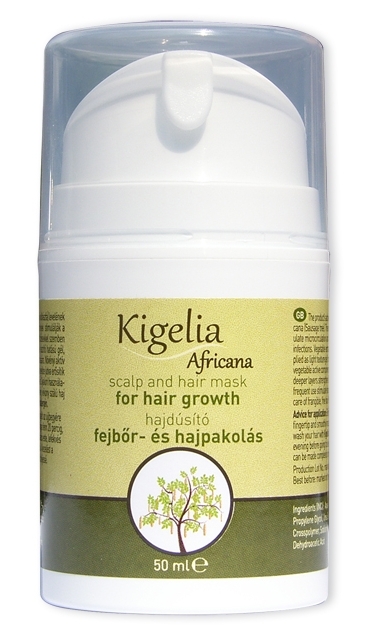 The Kigelia hair lotion natural ingredients regulate the functioning of the sebaceous glands of the scalp, prevent greasy scalp, to stimulate healthy hair growth. Became brittle hair is great for strengthening. Regular use to restore your hair and scalp healthy condition. Copyright © 2015, Wellmed Kereskedelmi Kft.